As the upgraded version of Tsunami 24, Tsunami 24 Plus RDA has an upgraded deck by increasing e-liquid capacity with larger space to accommodate more cotton. It supports single coil or dual coil build and adjustable airflow control on the bottom. Tsunami 24 by Geekvape has received a wide popularity since it went to the market, so here comes the new version：Tsunami 24 Plus with glass window. It has 24mm outside dimeter and upgraded deck by increasing e-liquid capacity with larger space to accommodate more cotton. 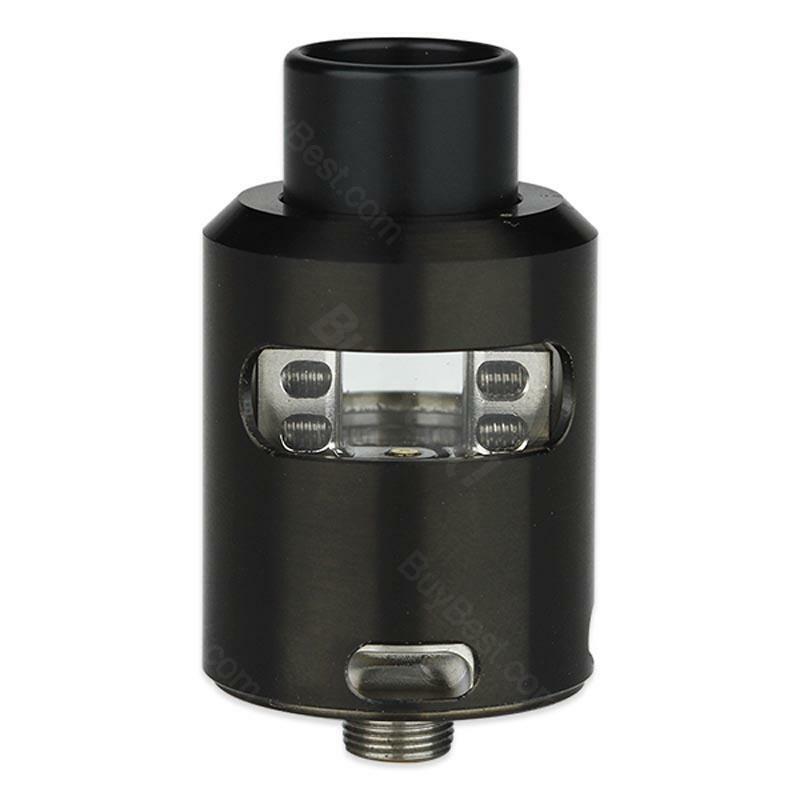 It supports single coil or dual coil build and adjustable airflow control on the bottom. Besides, it also comes with a hollow positive pin for Squonker MOD. The most unique feature of this atomizer is the glass window through which you can check out coil and wick directly. • Rebuildable atomizers not for beginners. Got both Tsunami 22 and 24 Plus, one for my husband and one for myself. Both working great! I ordered a wrong color by mistake, thanks to their wonderful customer service for changing my order. I absolutely love this Tsunami 24 plus. Looks very nice and works very well. Good product with cheap price. Nice shop with vape stuff and also some other interesting products. Would recommend to my friends.